Zillios provides a truly exciting development for those looking to rent, buy, or sell their property online. With the aim of placing the control back into the hands of the property holder and purchaser, it’s heralding a new age of the online property market. Previously the online property market has traditionally been prone to being controlled by a few key players, and as most are inclined more towards domestic property listings it has meant those looking to rent, buy, or sell property online have been left with minimal choice. That however, is about to change. Forget about hidden fees and commissions, forget about a time consuming search process, and forget about secretive and sluggish payment systems – with the real estate portal Zillios all of that is about to change, for the better! 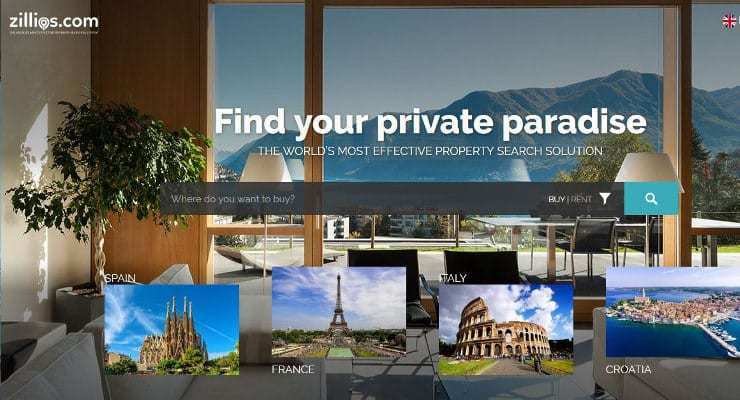 Now those who are looking for a property in the international market can forget about tediously trudging through numerous poorly designed websites trying to keep track of properties of interest. There is just one intuitive website to navigate, which will offer a wide variety of properties to suit different budgets. Every part of the deal is as transparent and efficient as possible, providing superb peace of mind in for what is for many people the most expensive single purchase they will ever make. Unlike many other services, the property listing at Zillios.com is completely free and bypasses the need for an agent. This makes it highly appealing prospect for those who are looking to let or sell their current home. There’s also an entire global market to promote the property to, attracting interest from a much wider and diverse pool of potential buyers and tenants. Add to this the highly efficient and transparent block chain technology, and it makes the current complicated process of property buying a breeze. Smart property agents are also in line to make the most of this exciting new technology, thanks to the ability to promote an unlimited number of free property listings, along with the development of numerous potential leads. Property agents too will benefit from the wider pool of potential customers accessed from the international market, and the platform seeks to offer an affordable yet efficient manner of property promotion. The clever pay-per-click geo-based advertising model gives agents full control of where their properties show up in the search results, and of their marketing budget. Whether it’s for buying, renting, or selling, Zillios is taking the online property market forward to its next logical step. This will benefit buyers, sellers, and real estate professionals equally, so make sure to avoid missing the opportunity to adopt this exciting new property platform as early as possible.